We're all about your results. Data-driven marketing that's truly focused on your profits. There’s an absolute treasure-trove of information available to make smart decisions about who to engage. The power of data-driven marketing is being able to predict the likelihood of eliciting a defined consumer behavior. We use predictive, data-driven marketing to eliminate the ‘did it work?’ or ‘we think it worked?’ mentality. We rely on precise data to hit the right target households and demonstrate a quantifiable return on investment. We take pride in representing your brand professionally and consistently to support persona-based designs for data-driven campaigns or any other design support you may need. We have the team and experience needed to develop web technologies ranging from landing pages and email campaigns to complex applications such as the Engagement Weave, a simple & effective prospect email marketing tool that generates leads. We are a full-service, data-driven marketing agency. Our purpose is to truly help businesses—both big and small—be more successful in acquiring and retaining customers and members. In doing so, we empower our clients to allocate more time and funds toward providing an exceptional customer experience. Marketing isn't valuable unless it is about generating real, measurable results. Our sole purpose is to help our clients market themselves more intelligently and ensuring those efforts are backed by real, tangible results. 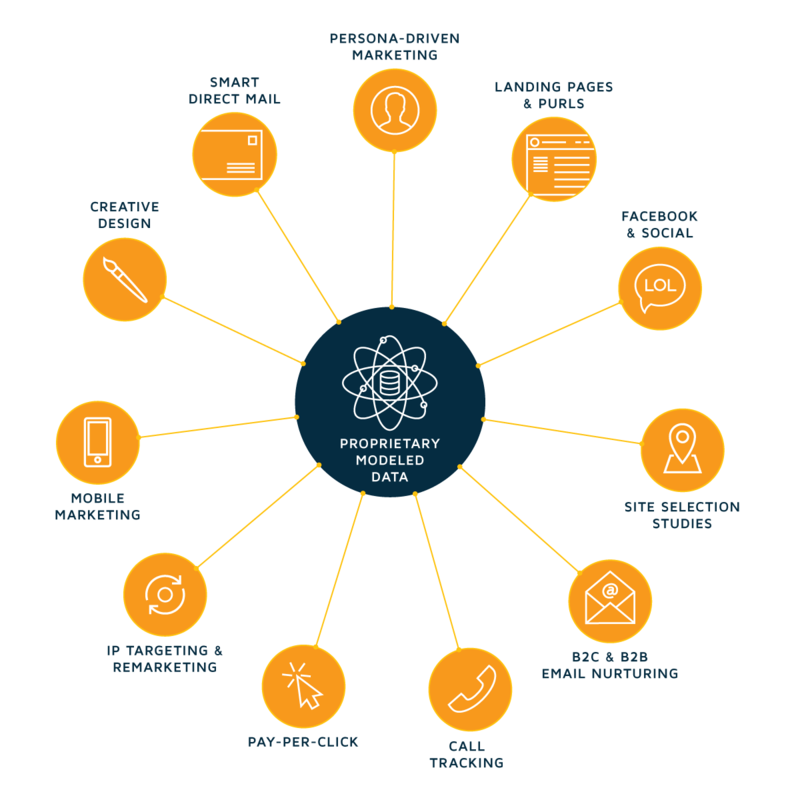 Our data-driven approach to lead generation works for all industries, take a look at those we specialize in. Instinctive Insights partners with Health Clubs, Gyms and Studios across the country to provide them with practical, data-driven science for profitable growth. We help operators make smart decisions about who to engage and which channels are investment worthy. The work we do results in increased positive responses and lowered marketing costs. We use data-driven intelligence to create more successful and profitable resident-acquisition campaigns. Our clients are as unique as the customers they serve—whether Planned Living or Senior Communities. Our data-driven processes are tailored to identify the nuances of the specific populations in the market and target those who desire the services and amenities our clients offer. Our algorithms and approach to target-marketing is very complex, yet simple to execute on. We go beyond simplistic concepts of targeting—like age, income and home value—so Nonprofit organizations can be confident they are engaging people who are interested in giving back and are most likely to donate, volunteer and become ambassadors for the organization. Get in touch here. We’re ready to learn about your business and profit goals. To say we are impressed with their performance is an understatement. We quickly transitioned our direct mail & email for all 17 locations to Instinctive Insights, and the team is just a delight to work with. Today we’re sending out less direct mail, spending less, and seeing significantly greater return. I’ve been shocked by the results. Instinctive Insights’ hands-on, transparent approach and attention to detail with our mailing campaigns mirrors what many clubs we spoke with had to say about them. Makes you think twice about ever using spray mail campaigns ever again.